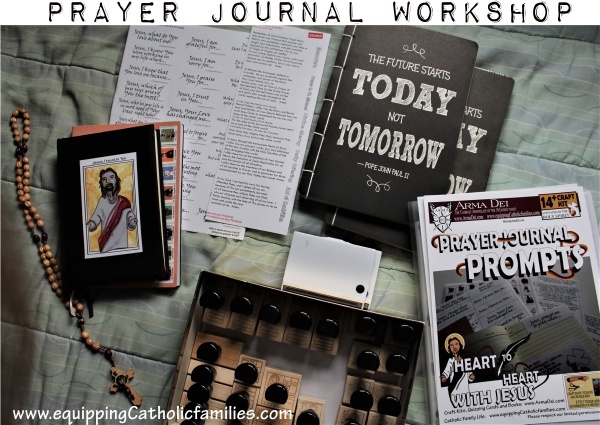 October, the Month of the Rosary starts today! 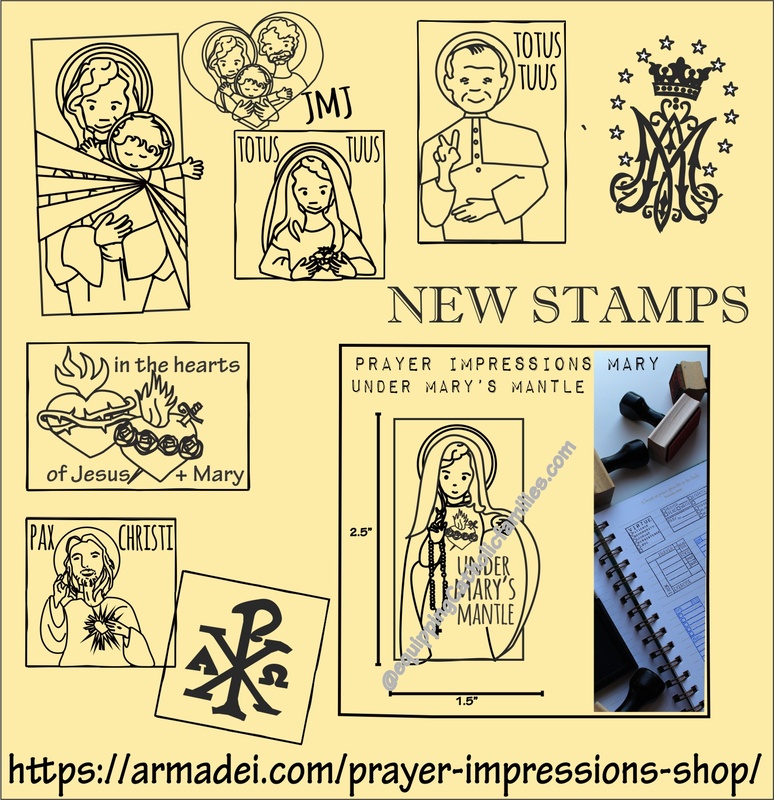 In honor of a renewed commitment to praying the Daily Rosary, I have added brand new Rosary Journal Stamps, requested by one of our Prayer-Impressions-Journal-Stamp-loving customers! 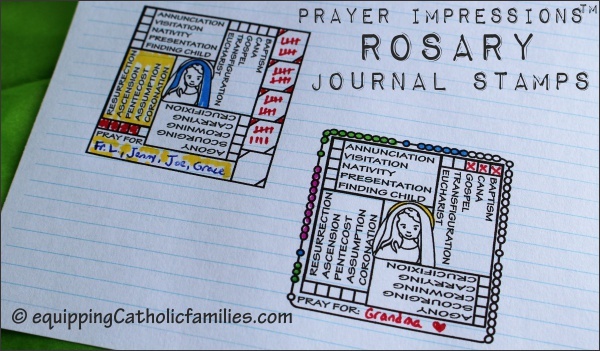 We have made the Rosary stamps smaller to try to accommodate daily calendars and planners and prayer journals! 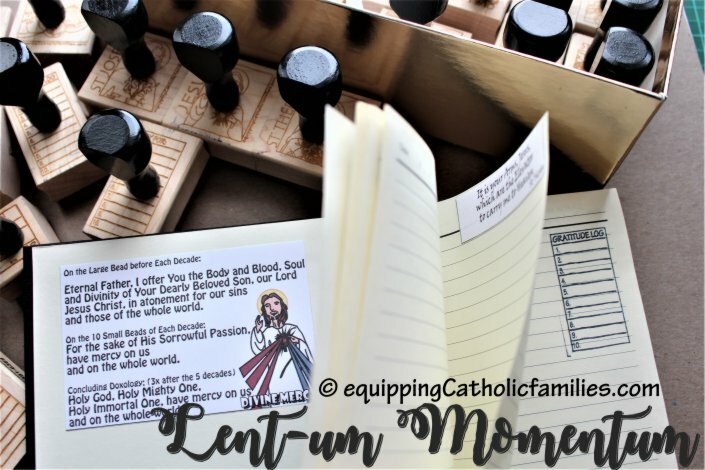 Our NEW Prayer Journal Prompts Craft Kit and Prayer Impressions Journal Stamps…are perfect to help you host a Prayer Journal Workshop with your favorite group of ladies! 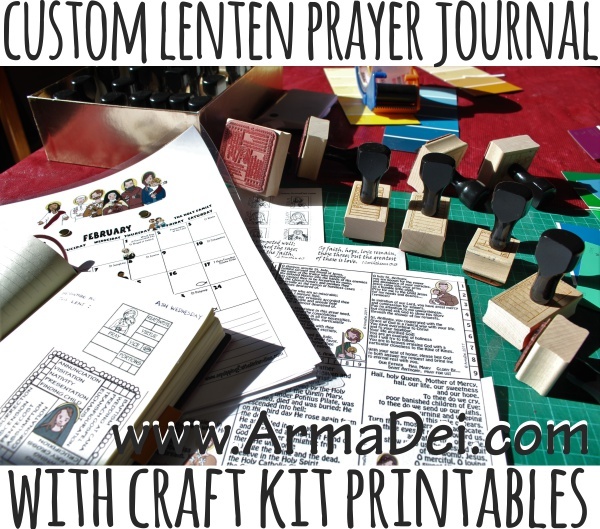 Prayer Journal Prompts Workshop PDF Craft Kit by Arma Dei, printed on label paper…Brilliant! 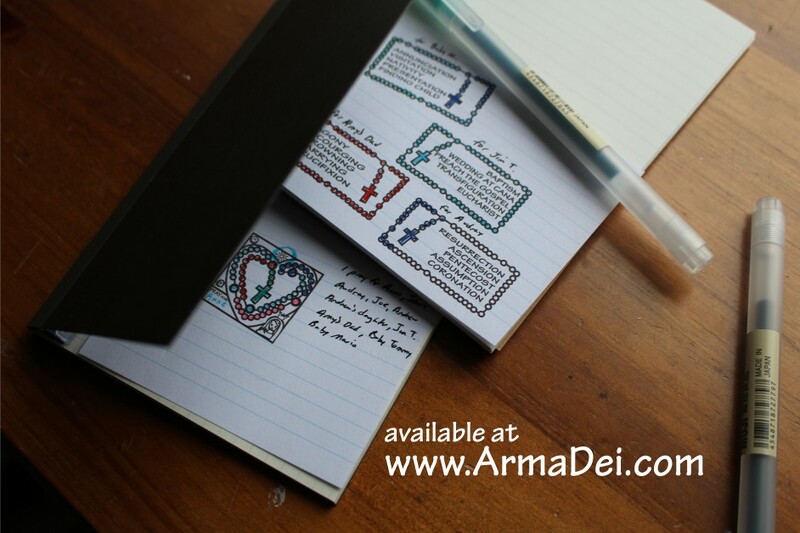 …we haven’t seen anything out there like it! 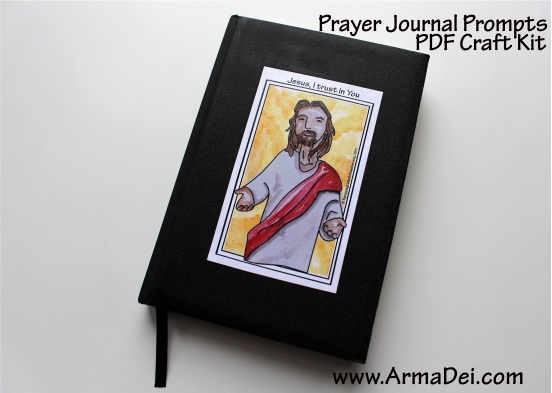 The PDF includes 134 prayer prompts, 24 classic prayers illustrated with Kelly Saints, 100+ color stickers and 60 BW Saint stickers to help you take ANY dollar store notebook and turn it into a customized Prayer Journal, just for you!